As the backup kicker on his football team, 13-year-old Daniel spends his time watching from the bench. Socially, he is an onlooker as well. But soon Sara, an ostracized girl at school, breaks through his shyness by demanding help with investigating her father’s possible murder. It seems heartless to refuse, though logically (and later, legally) he should. As tension mounts, his anxiety level rises, and “The Routine” he is compelled to follow at bedtime grows longer and more burdensome. Daniel knows that he is different, but he suffers alone and in silence. It’s a revelation when Sara offers him information on obsessive compulsive disorder and a path toward coping with it. 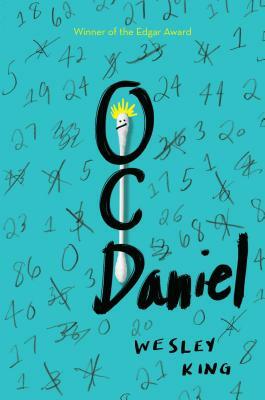 A brief, appended author’s note dispels common misconceptions about OCD and calls Daniel “an almost autobiographical representation of myself at that age.” King creates convincing characters and writes engaging dialogue, and whether or not readers identify fully with Daniel, they will see parts of themselves in this vulnerable protagonist. Clues dropped in the first part of the book may lead readers to expect a conventional sort of happy ending, but the story’s conclusion is more complex and satisfying. Written from Daniel’s point of view, this perceptive firstperson narrative is sometimes painful, sometimes amusing, and always rewarding.